Looking for more space and privacy than a hotel or condominium has to offer for your vacation? Sea Winds Cottage is a spacious 3 bedroom, 2 bath Sanibel Island beach cottage with private pool! The cottage has a laundry room with washer & dryer, linens, bath & beach towels, kitchen & bath supplies, pool and beach chairs, 2 outdoor showers, a bar-b-q grill and shell cleaning table. 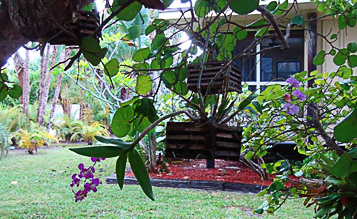 Sea Winds Cottage in Sanibel, Florida is perfect for couples and families, offering a peaceful escape with loved ones.